It may still be in its first season, but The Flash has done an impressive job of introducing players from all corners of the Scarlet Speedster’s mythos, from allies like Iris West to villains like Captain Cold. The series still has plenty of characters to introduce, including Wally West and Bart Allen, two of the Flash Family’s most important members. Fortunately for fans of these speedsters, the series may be introducing them as soon as Season 2. That's our hope, and we've already been picked up for a second year so I think if we were going to do something like that, we would do it next year. Wally was introduced in 1959 as Iris West’s nephew who gained his super-speed powers the same way Barry Allen did, i.e. getting struck by lightning and doused with chemicals. Wally served as Kid Flash for several decades until he became the Flash after Barry Allen perished in the 1985 event Crisis on Infinite Earths. 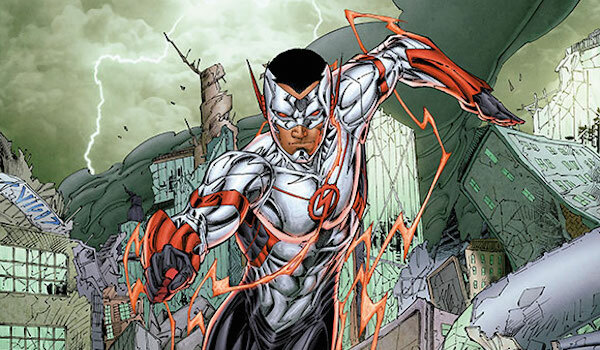 Wally was reintroduced in the New 52 as a bi-racial teenager (as pictured above) who hasn’t gained his speed powers yet, although a future version of Wally did become a speedster in September’s The Flash: Futures End #1. In the pre-New 52 universe, Bart Allen is Barry Allen’s grandson from 1,000 years in the future. After being taken to the present to train with Wally West, he became the superhero Impulse and later took Wally’s old identity Kid Flash. He was even the Flash for a brief period of time. 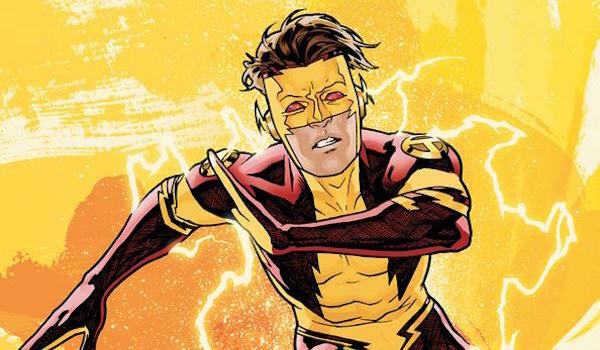 Although the New 52 version of Bart also hails from the future, he is not related to Barry and his speed powers do not originate from the Speed Force. Executive producer Andrew Kreisberg admitted last September that Wally’s race was changed in the comics to fit the TV series, so it’s basically a sure thing that Wally will also be African-American on TV. The only issue with using him in the TV series whether he can still be Iris’ nephew in the continuity. Iris is in her mid-20s in The Flash, so if she does have an older sibling who had a child, Wally wouldn’t be much older than a toddler or small boy, and certainly not old enough to fight crime alongside Barry. One possibility is changing him so that he’s Iris’ younger brother who went to live with his mom when their parents separated. As for Bart, time travel has only just been delved into on The Flash, so having a young Barry meet his grandson from the 3000s might be a bit much to deal with so early in the series run, and that’s not even taking into account Bart’s family line. In the comics, his mother is Meloni Thawne, a descendant of Eobard Thawne, a.k.a the super villain Professor Zoom, so the series would likely have Bart somehow be related to Eddie Thawne. Introducing Bart seems more like a Season 3 or 4 story. The Flash returns with new episodes this week Tuesday at 8/7c on The CW.